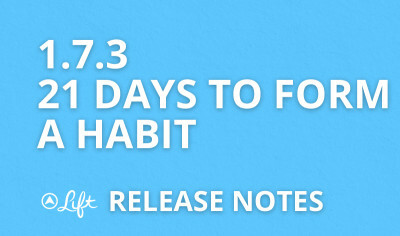 This release introduces 21-day habit plans. There is a special section for these when you go to add a habit. 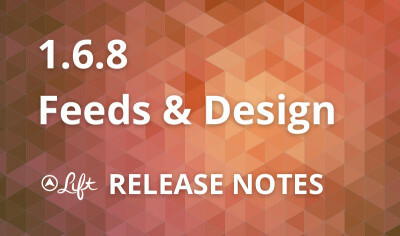 As part of this release, we’re also adding two early features to all of our plans:.. 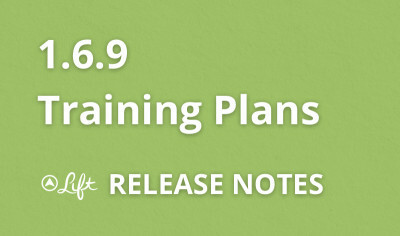 This release includes an upgrade to your activity feeds and introduces a very experimental concept: training plans. For training plans, go to your list of groups (via Add habits) and browse t.. 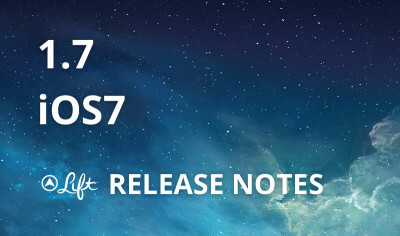 This release includes an iOS7 friendly design, clarity in navigation and activity feeds, and a new icon. This is the last of three releases focused on design. Read on for some background on o..
Bug fixes. 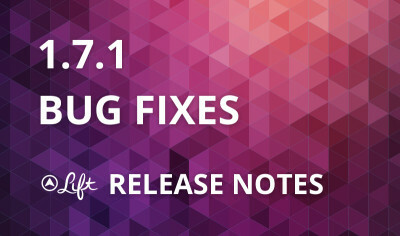 If you had trouble searching for or adding a new habit, this release fixes that bug. There’s not much more to say about this release, so read on for a completely unrelated topic. O..
We’ve made some design changes and also started tweaking activity feeds to be more focused on discussion. Read on if you want some thoughts about what prompted the design changes. This version of Lift adds group activity feeds to your activity tab. Now you can follow activity from within your groups. This feature should help smaller groups of friends to form accountabi..
We’ve given groups more prominent placement, by moving them into the add habit area. We’ve given reminders more prominent placement, by.. This release brings us a small step closer to releasing a groups feature where you can get coaching and advice from top experts. If you want early access, look for Groups from the cog on the u.. But wait, what are groups? Groups ar.. The release adds “swipe to check in.” From your Habits dashboard, swipe any of the habits to the right in order to check in quickly. You’ll still have to go to the habit screen if you want to ..